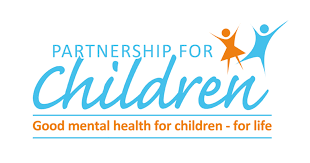 The UK charity Partnership for Children has developed an inspiring school based programme – Zippy’s Friends – to promote the mental health and emotional wellbeing of young children. Starting from the recognition that modern life can be full of challenges for children, the programme aims to help them to develop the skills they will need to cope with life’s difficulties, to understand and manage their emotions and to develop resilience. Taught in primary schools across England and in 30 other countries around the world, Zippy’s Friends helps children aged 5-7 to deal with difficult issues such as anxiety, communication, friendship, bullying, conflict, change and loss. Evaluations have shown that classes who take part in Zippy’s Friends show improvements in coping and social skills, bullying is reduced and academic results improve. The fundamental concept behind the programme is very simple – if we can teach young children how to cope with difficulties, they should be better able to handle problems and crises in adolescence and adult life. This is so true if we consider that half of lifetime mental illness starts by the age of 14, and three children in every classroom have a mental health problem. Zippy’s Friend programme recognizes the vital role played by school professionals in promoting children’s mental health. It is now widely accepted that children’s ability to learn and achieve their goals is closely related to how they feel. So paying attention to children’s emotional wellbeing will have a positive impact on classroom atmosphere and children’s academic performance. Promoting children’s wellbeing in school is most effective where it is delivered through a ‘whole school approach’, with all members of the school community – managers, teaching staff, support staff and children – working in a mutually supportive environment. Zippy’s Friends programme includes resources for teachers and parents, giving them the information and tools they need to support their children and help them cope with difficult situations. The programme materials are provided to teachers when they attend the programme training course. Activities for parents to do at home with their children (whether or not they are involved in the programme) are available to download here. Zippy’s Friends has also been adapted for children and young people with special needs. 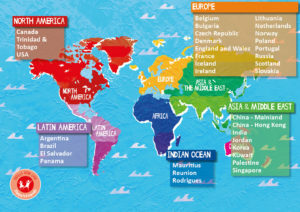 Zippy’s Friends has been endorsed by the World Health Organisation and national governments. It has already helped more than 1.6 million children. Learn more about this successful mental health promotion programme here. Read about a similar programme developed for children aged 7-9: Apple’s Friends. To know more about Partnership for children, read here or visit their website.